The Arlandrian: Reducing how much we drive. "Among the many solutions for dealing with the environmental impacts of transportation, driving fewer miles is by far the least controversial. After all, who doesn't want to spend less time in the car? 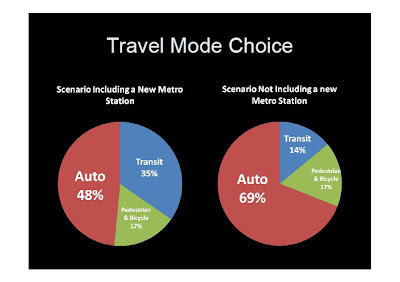 Planners and politicians alike find the safest bet for greening transportation lies in reducing our vehicle miles traveled (VMTs),"
This sentiment echoes what the consultants presented recently to the Potomac Yard Planning group. You have to remember that government planning almost always does more harm than good. Most government plans (such as ours) are so full of fabrications and unsupportable assumptions that they aren't worth the paper they are printed on, much less the millions of tax dollars spent to have them written. Long-range plans fail because planners have no better insight into the future than anyone else, so their plans will be as wrong as their predictions are. Planning for other people's land and resources fails because planners will not pay the costs they impose on other people, so they have no incentive to find the best answers. Many people, including those in our own planning and zoning department, claim Portland, Oregon, as a model of 21st–century urban planning. 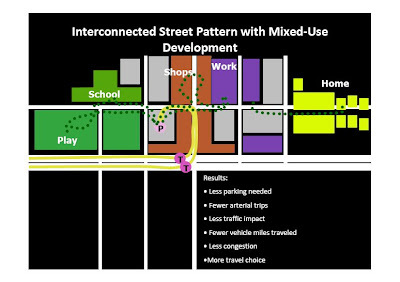 However, that region's integrated land–use and transportation plans have greatly reduced the area's livability. To halt urban sprawl and reduce people's dependence on the automobile, Portland's plans use an urban–growth boundary to greatly increase the area's population density, spend most of the region's transportation funds on various rail transit projects, and promote construction of scores of high–density, mixed–use developments. When judged by the results rather than the intentions, the costs of Portland's planning far outweigh the benefits. Planners made housing unaffordable to force more people to live in multifamily housing or in homes on tiny lots. They allowed congestion to increase to near–gridlock levels to force more people to ride the region's expensive rail transit lines. They diverted billions of dollars of taxes from schools, fire, public health, and other essential services to subsidize the construction of transit and high–density housing projects. Those high costs have not produced the utopia planners promised. Far from curbing sprawl, high housing prices led tens of thousands of families to move to Vancouver, Washington, and other cities outside the region's authority. Far from reducing driving, rail transit has actually reduced the share of travel using transit from what it was in 1980. 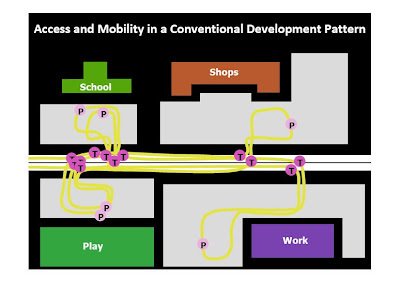 And developers have found that so–called transit–oriented developments only work when they include plenty of parking. I live in Carlyle and the way Carlyle has been developed is horrible. There is no parking, the streets are always clogged, the housing prices there are unbelieveably expensive. Most of City Council, especially people like Rob Krupicka, Tim Lovain, and the Mayor have said that developments like this are good because people will take Metro. I live in Carlyle and can tell you for certain that not many people in my building take Metro. Why? Because it is not convenient in most cases because of poor planning. Carlyle is not built out, so I think it remains to be seen. I agree that planning can only go so far as the limitations of our ability to foresee the future. 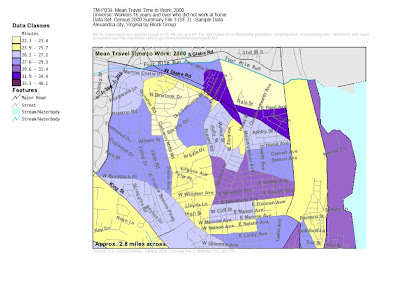 Arlington didn't get it all right when they began their plans 30-40 years ago, but they have been able to review the plans over time and update them to increase livability and adjust to the changing times. There is no doubt that Crystal City is more livable than it was 10 years ago. And my neighbors and I are responding, spending more and more of our time...and money...in Arlington, because it is that much more conducive to contemporary life. Potomac Yard is poised to build on what was accomplished in Crystal City...and hopefully...learn from the mistakes there (many of which are being corrected with their current planning process). The proof is really about where people vote with their feet...where they chose to live. If Carlyle doesn't work or fails to live up to the promises of the plan, then in the long term people will find it less desirable and property values will drop if other, better options are available. So far, that's not the case. Folks are not fleeing and therefore must not find it so unbearable that they are not being lured by greener pastures.